Just imagine being able to see the performance of your company in a matter of seconds, viewing critical financial data for virtually all of your assets, communicating clearly and concisely throughout your organization, and managing all leases in the pipeline with ease. With AMP Technologies, you have the opportunity to enjoy all these benefits. In fact, you can even assess risk and predict fallout. For CRE professionals, AMP Technologies’ Uber Manager has become a highly regarded platform. With this revolutionary solution, your assets are amplified into digital space. In just 30 seconds, all of the data from your portfolio are visually displayed, giving you a better understanding of your company’s overall performance. Because of this, you can make changes where and when they are needed, ultimately giving you a competitive edge. For your entire business, this commercial real estate platform is incredible. 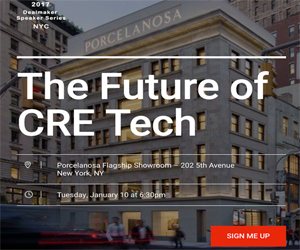 The innovative products have changed how CRE professionals work. AMPIntelligence – This product gives life to performance metrics. Included are interactive graphs, charts that represent company data so you know how well business is doing, and even dashboards that are completely customizable. For all levels of the company, you are provided with a snapshot of accounts, financial data, the leasing pipeline, and vacancies. AMPLease – With this product, commercial real estate leasing has never been easier. This platform is both efficient and collaborative, complete with built-in capabilities for data integration. As a result, you can create and manage lease abstracts that are highly comprehensive. AMPLease also provides outstanding insight into occupancy, vacancy, and lease analytics on properties or your company’s portfolio. AMPStack – With this platform, you can visualize assets in no time. Data for each asset are displayed visually at the tenant level so you can determine which tenants are occupying different spaces as well as the duration for each occupancy. AMPPipeline – For commercial leases in the pipeline, AMPPipline streamlines processes. Used by brokers and asset managers, this tool is perfect for tracking leases on the horizon and maintaining high rates of occupancy. AMPFiles – With leasing and financial data kept in a single place, you have the ability to manage all documents in the company’s portfolio. You can upload, download, store, and share all types of documents that are relevant to the operations of your business. In addition to the wide range of products offered by AMP Technologies for commercial real estate professionals, there are innovative services. Under the AMPServices umbrella are finance and accounting, due diligence support for acquisitions, lease administration, and a services dashboard to aid in managing projects more effectively. As someone responsible for managing CRE, the AMP Technologies platform will simplify your efforts while reducing the cost of operation, increasing occupancy rates, and boosting revenue. For the people who depend on AMP Technologies, operating costs have dropped 50 percent to 60 percent on average, making this platform a tremendous value.